1.1 ForexMart (hereinafter referred to as ‘ForexMart ’ or the ‘Company’ or ‘Us/We’) is an investment firm that operates worldwide. 1.2 This No Deposit Agreement is binding between the Client and the Company. 1.3 The No Deposit Agreement governs the relationship between the Client and the Company with regards to this particular promotion. It supplies all the necessary information to the Client prior to any action done within the effectiveness of the promotion. 1.4 The Client (hereinafter referred to as ‘You’ or ‘Client’) hereby acknowledges that he/she read, understood, and accepts this No Deposit Agreement as amended from time to time at the sole discretion of the Company. 2.1 Unless otherwise explicitly indicated, the following terms in this "No Deposit Bonus" shall be defined as follows. "Customer Agreement" shall mean the Company’s official documentation indicating the terms, conditions, and agreement between the Client and the Company that is accepted upon opening an account with us. "Bonus Profit " shall mean the profit derived by Client as the result of trading operations with account credited with No Deposit Bonus within this Promotion. 3.1 The Client reserves the right to participate in this Promotion only once. 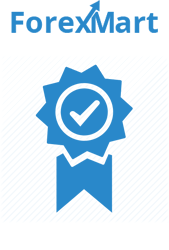 3.2 The Promotion is only available to accounts that have accomplished and passed verification procedures. 3.3 Within The Promotion Client receives No Deposit Bonus to his trading account to perform trading operations BUY and SELL on financial markets. 3.4 The amount of No Deposit Bonus sum is determined individually for each client. 3.5 Client agrees that funds given to him for money management are the property of the Company and can be provided exceptionally on the conditions fully described in This Agreement. 3.6 The aim of the promotions is to make Client more familiar with Company's service, trading conditions and principles of working at financial markets without risks to Client's own capital. 3.7 Client shall not be legible for any incurring losses at account credited with No Deposit Bonus including Stop Out event. 3.8 No Deposit Bonus cannot be withdrawn however Bonus Profit can be withdrawn if the conditions disclosed in Paragraph 6 of This Agreement are met. 3.9 The Company reserves the right to reject requests for the Promotion at it's sole discretion without explanation to the Client. 4.1 The Promotion commenced on October 1, 2015 and has since been in effect. 4.2 The Company reserves the right to end the Promotion at any given time without prior notice to the Client. 5.1 The Client is given the maximum leverage of 1:200 for this Promotion. 5.2 The Client is given the stop out level of 100% for this Promotion. 5.3 The No Deposit Bonus cannot be invested. 5.4 The Client participating in this Promotion is prohibited from participating in rebate-programs. 6.1.1 The necessary conditions of Bonus Profit withdrawal is the Client's own account replenishment (Deposit) in the amount of equal or greater than sum of Bonus Profit. 6.1.2 At the moment of Deposit Client's account should not have floating deals. 6.1.3 Client accepts that after the Deposit equal or greater than sum of Bonus Profit is done the sum of initial No Deposit Bonus credited is canceled in full. Client accepts that in case his Deposit is smaller than sum of Bonus Profit, the No Deposit Bonus is canceled in full together with part of Bonus Profit. The remaining part of Bonus Profit cannot be greater than Client's own replenishment (Deposit). 6.2.1 The Bonus Profit resulting from the Promotion can only be withdrawn once all transactions (BUY and SELL) are completed. The total volume of trades must be equal to X*2,5 market lots for accounts in USD and EUR, where X is the total amount of Bonus Profit, fixed at the time of the Deposit. 6.2.2 The Bonus Profit can only be withdrawn in full. Partial withdrawal is prohibited. 6.3 The Bonus Profit can only be withdrawn through a request to the Company. The email address where all request for withdrawals are to be sent is bonuses@forexmart.com. The Client must ensure that the Bonus Profit is fully available in his or her trading account at the moment of request. 6.4 The Company reserves the right to reject requests at our discretion without explanation to the Client. 7.1 The Company reserve the right to cancel the Bonus and correct profits without prior notice. The Company therefore discourages the use of No Deposit Bonus funds in the calculation of profits in the Client’s trading strategies. 7.3 The Client acknowledges the right of the Company to cancel the Bonus and correct the profit made using the Bonus in case a violation of this No Deposit Agreement is found or an abuse of the No Deposit Bonus is detected. 8.1 The affiliate commissions derived from the Client’s accounts credited with the No Deposit Bonus are paid to the Partner only after the account is replenished with the amount that is equal to or greater than the Bonus Profit amount. 9.1 The Company reserves the right to amend or supplement this Agreement at any time at its sole discretion. Below is the "No Deposit Bonus" to be credited. The bonus is fixed.